Many holiness believers seem to labor under the mistaken concept that once they are entirely sanctified they have all God has for them and need expect no more. Hames says the believer’s continued growth in grace is the best antidote to a defeated Christian witness. 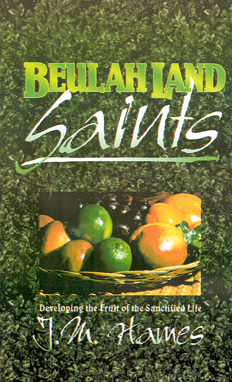 The saints who dwell already in Beulah Land may grow more and more like Emmanuel.